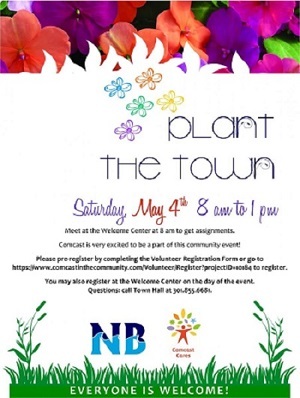 The 12th Annual Comcast Cares / Plant the Town will be on May 4, 2019 at 8 am. Meet at the Welcome Center to get assignments. You may pre-register or register the day of the event. See flyer for details.